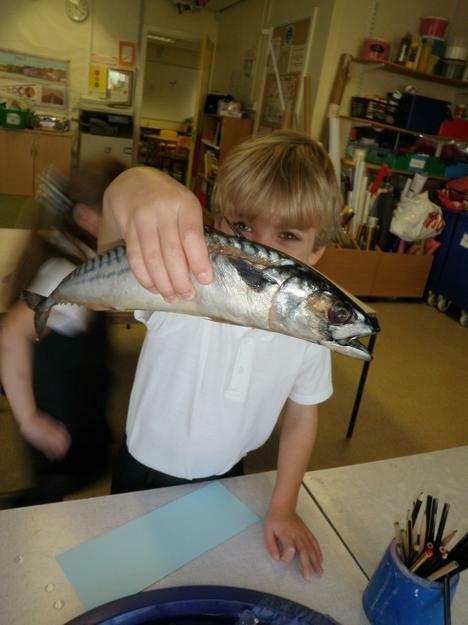 Smelly Fish Day in Year F ! 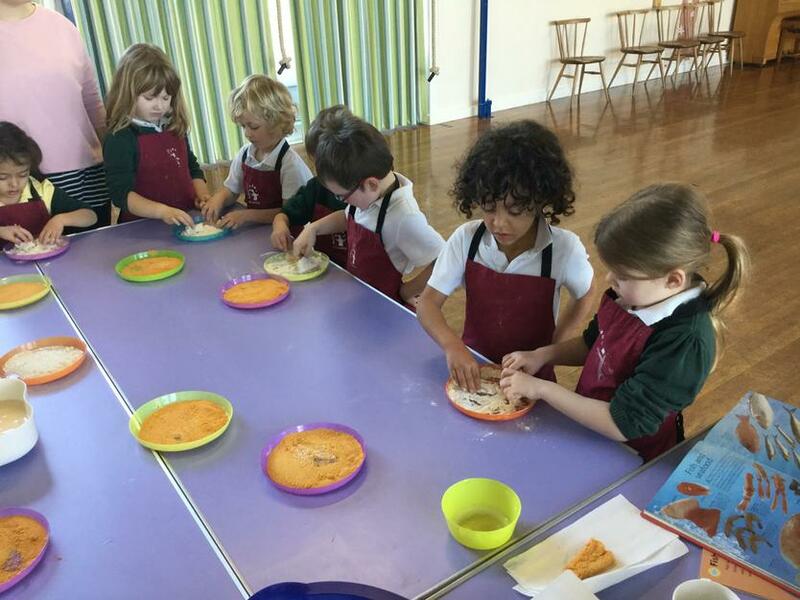 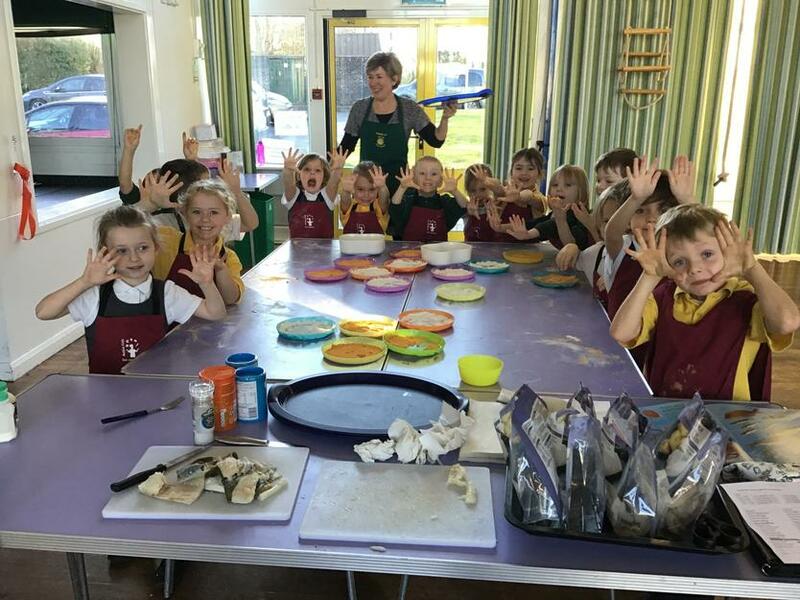 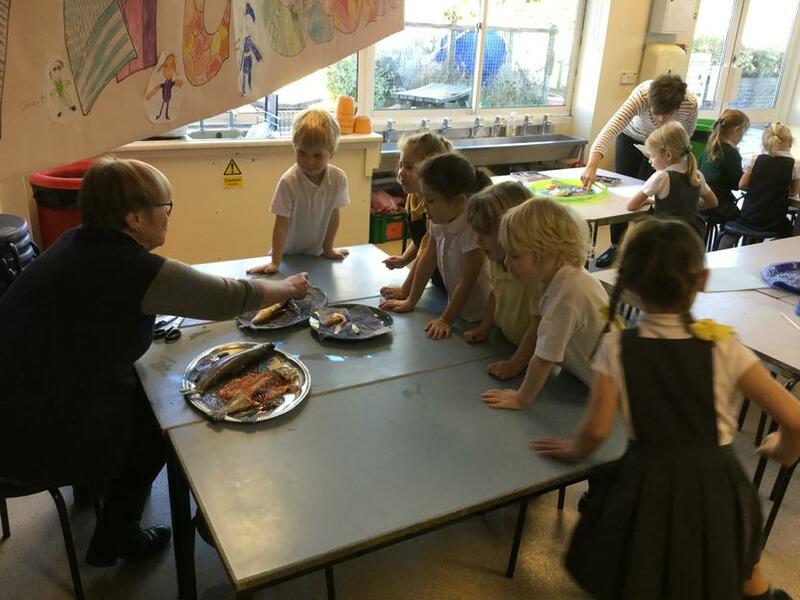 The YR F children had lots of fun on smelly fish day. 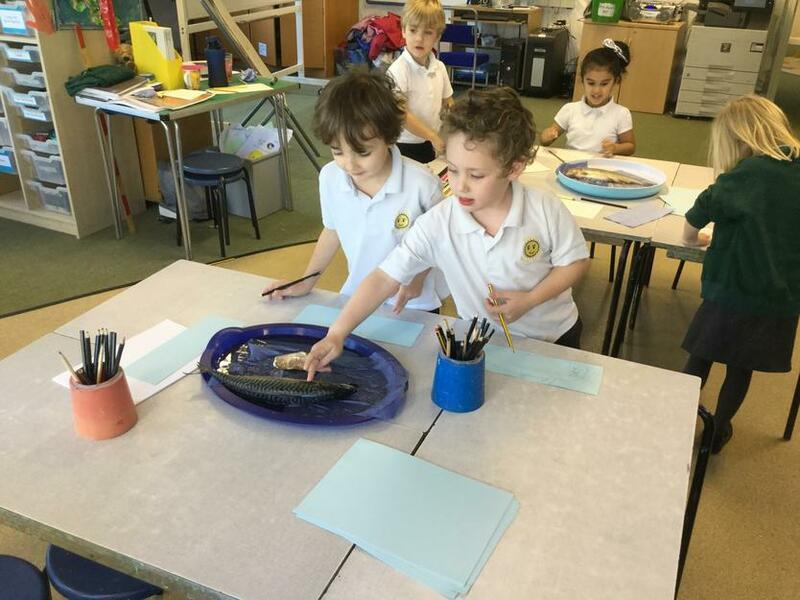 We dissected different fish, looking at their gills, eyeballs and scales. 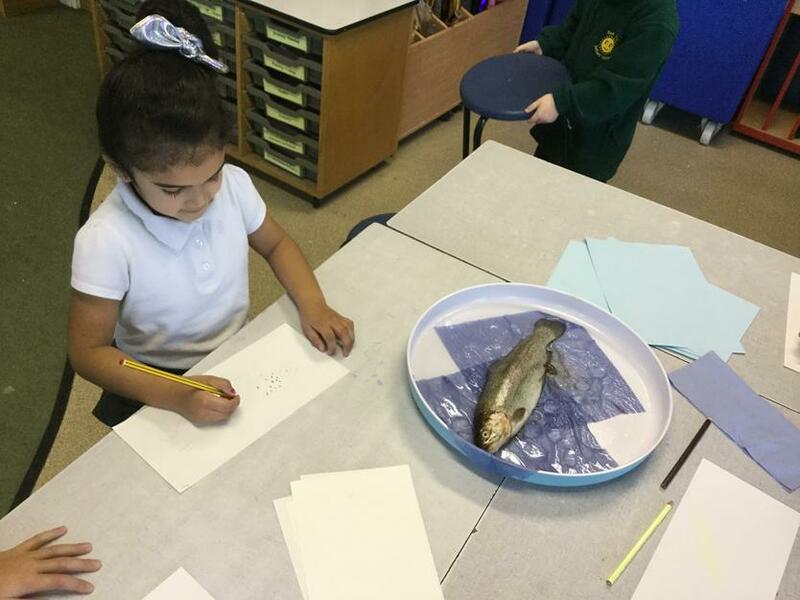 After this, we drew the fish thinking about different shapes. 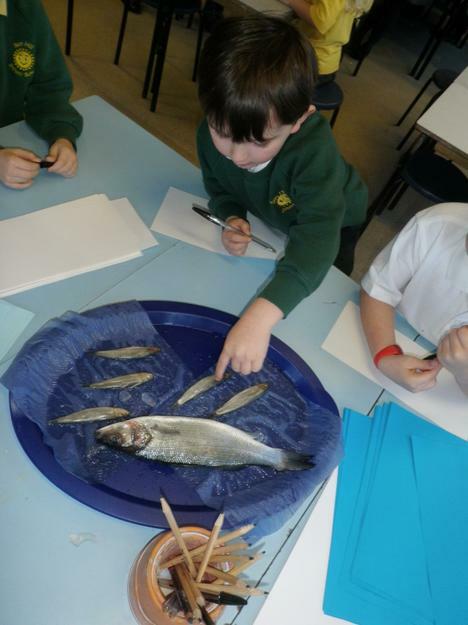 We learnt how fish fingers are made and what type of fish they come from.